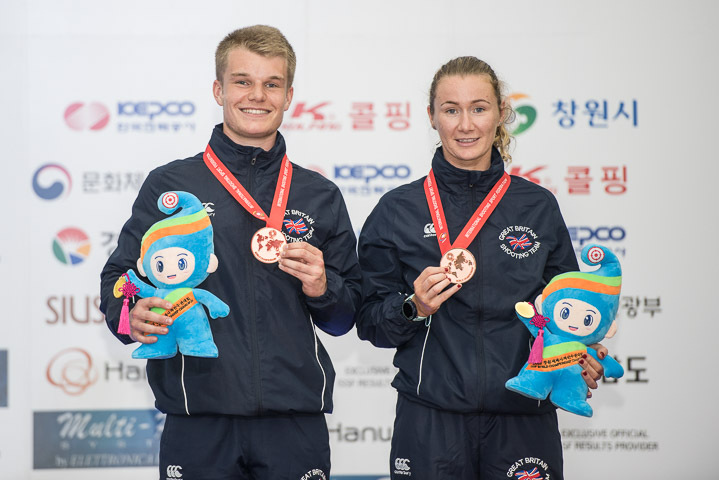 Over the summer, University of Surrey sports scholar Ollie Vass attained a bronze medal in Target Shooting for Great Britain at the ISSF World Championships. After successfully making it through all qualifying rounds, Vass was ranked as the number one senior man by British Shooting. Following this achievement, he was selected for international competitions in Italy and Germany, before making his way to South Korea for the World Championships. “It was a real privilege to represent GB on the world stage.” Vass said. Competing alongside teammate Rachel McManus, Vass put in an outstanding performance to place to help the duo place third behind two German teams. “The adrenaline rush of crossing the finish line was a feeling that I will never forget.” Vass stated. Vass was quick to praise the University and the scholarship scheme for the support provided during his time at Surrey. Vass will now begin to look ahead to the British Championships later this month, and then to the 2019 World Tour Championships in Italy and Germany. Team Surrey would like to congratulate Ollie on this incredible achievement, and we wish him all the best of luck in his upcoming challenges.